GORE, FRANCIS, colonial administrator; b. 1769 in Blackheath (London), England, son of Francis Gore and Caroline Beresford; m. 1803 Annabella Wentworth, sister of Sir John Wentworth*; they had no children; d. 3 Nov. 1852 in Brighton, England. The Gores were a cadet branch of the family of the earls of Arran; the Beresfords, of the marquises of Waterford. Both families had a history of court military appointments: Francis Gore’s father, before receiving a West Indian lieutenant governorship in 1763, had served as aide-de-camp to Queen Charlotte’s brother in the Portuguese campaign of 1761. Francis entered the army in June 1787 directly from school at Durham as an ensign in the 44th Foot. Promoted lieutenant in September 1793, he transferred to an independent company and then, the following year, to the 54th Foot, with which he saw his only active service, in the Duke of York’s abortive Flanders campaign of 1794. The next year, a captain in the cavalry regiment that became the 17th Light Dragoons, he went to Ireland as aide-de-camp to the new lord lieutenant, Earl Camden. Camden left Ireland in 1798, but he was to hold cabinet office for 10 of the next 14 years and to prove an influential patron. Gore returned to regular duty in June 1798 and was promoted major the following year. 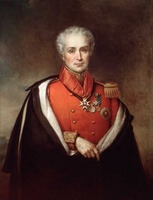 He retired from the army in July 1802 after the Treaty of Amiens. When the war against France resumed in 1803, he served briefly as an inspector of volunteers with the temporary local rank of lieutenant-colonel, but thereafter held no military commission. 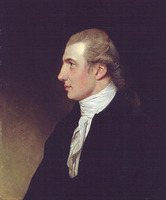 He secured more active employment in 1804, when Camden became secretary of state for war and the colonies in William Pitt’s second administration. 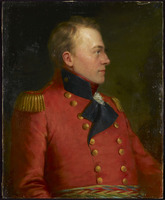 Gore was appointed lieutenant governor first of Bermuda and then in 1806 of Upper Canada. He went to that province directly from Bermuda and was sworn in at York (Toronto) on 25 August. He would hold his new office for 11 years. Allowed leave to go back to England in 1811, he departed from York on 8 October and did not return until 29 Sept. 1815, after the end of the War of 1812. He left the province for good early in June 1817. Gore came to Upper Canada with the expectation of being a peacemaker. His predecessor, Peter Hunter*, had left an administration reformed in its procedures but divided by resentment at his reliance on the advice of a few officials and at the directness of his efforts to improve the efficiency of subordinates. Hunter had also paid some of the expenses of civil government out of funds – the revenues from local taxation and from the province’s share of the customs duties collected at Quebec – that the legislature had been accustomed to control. 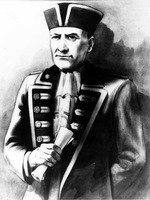 He had not consulted the House of Assembly, which raised the question with Alexander Grant*, administrator of the province during the year between Hunter’s death and Gore’s arrival. On 1 March 1806 the assembly moved a formal address of protest. Warned in advance of this double disharmony and supposing it to involve little beyond personal animosities, Gore proposed to cure it by the application of tact and social prestige. 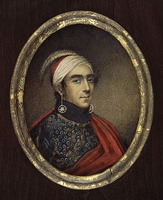 With three peerages among their family connections, the Gores offered Upper Canada more social prestige than it had yet seen. They were zealous in the performance of their ceremonial duties. Their ball at Niagara (Niagara-on-the-Lake) on 4 June 1807 to celebrate the king’s birth was hailed by the Upper Canada Gazette for “a splendour and magnificence hitherto unknown in this country” and became the standard by which such affairs were judged for 20 years. Gore was a ready patron of worthy causes, although not always effective in carrying through good intentions: he seems never to have paid the £25 he promised to St James’ Church, York, for a new pulpit, and the relief fund that he sponsored in 1815 for war sufferers, still unexpended when he left the province, was ultimately diverted to other purposes. He attached importance to the small change of polite society: being careful to leave calling cards, issuing invitations according to status rather than personal preference, and making sure that no guest was ignored and no invitation unacknowledged. The York élite responded with praise of his manners and amiability. His tact was not infallible. In the interests of harmony he tried to end the ostracism of Elizabeth Small, who was suspected of not actually being the wife of John Small*, clerk of the Executive Council; but his attempt only ruffled feathers that his own wife had to smooth. She was an undoubted social success, able to maintain lasting friendships with such diverse people as the Cartwrights, the Powells, John Strachan*, and Thomas Talbot. In the narrow circle of official society she was praised more extravagantly than her husband for her poise, kindness, and fashionable sensibility. The death in March 1808 of her favourite dog seems to have occasioned more expressions of regret than that six months later of Peter Russell*, a member of the Executive Council. On 25 March 1816 the assembly gave formal recognition of the Gores’ popularity. In what Robert Gourlay* was to ridicule as the “Spoon Bill,” it voted £3,000 to present them with a service of plate. Gore’s personal initiatives in the administration of government, while less evident and less systematic, were sometimes equally effective. He began with a proclamation on 31 Oct. 1806 reopening the United Empire Loyalist list, a move which had been in contention for years [see Peter Hunter]. Most of the time, however, he responded more readily to the claims of individuals than to general issues. 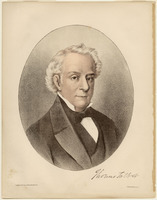 He persuaded William Jarvis*, the provincial secretary, to drop a law suit against Chief Justice Thomas Scott* in return for adjustments to Jarvis’s fees and a grant from the imperial government that saved him from bankruptcy. Gore cut across the land-granting regulations, lately amended, to have patents made out to the settlers of Joseph-Geneviève de Puisaye*, Comte de Puisaye. He ignored those regulations altogether in favour of Thomas Talbot, whom he also supported against his Executive Council in a dispute in 1811 with the surveyor Simon Zelotes Watson over land claims along the Talbot Road. The following year, when Gore was absent, the council ordered Talbot to submit a return of his locations on that road. He claimed 5,400 acres, having brought in only 27 settlers. 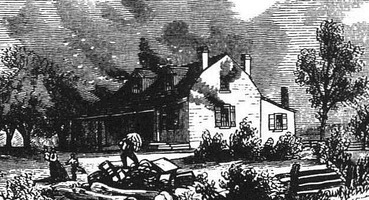 By the time of Gore’s return, however, Talbot had brought in more than 100 settlers; and the lieutenant governor was able in February 1816 to have his grants on the Talbot Road east confirmed at 200 rather than the standard 100 acres per settler. Gore further exerted himself to have Talbot appointed to the Legislative Council, without ever being able to obtain his attendance. In June 1817 he at last agreed, reluctantly, that Talbot’s land-granting agency should be ended, on terms that would secure his title to 20,000 acres. 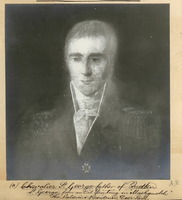 Gore found a much more active ally in John Strachan, whom he had urged to move from Cornwall to York and for whom he eventually got a regular seat on the Executive Council, effective in July 1817. In such interventions Gore was unquestionably rewarding favourites, but he was also trying to strengthen his government. Particularly from the beginning of his second tour of duty, Gore was obliged to find new advisers. Of those Hunter had relied on most, only John McGill* remained in office, as acting receiver general. 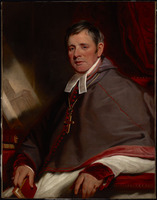 Henry Allcock* had long ago gone to Lower Canada where he had died, and his successor as chief justice, Thomas Scott, retired in 1816. Gore required subordinates who shared his tory opinions, but he insisted on ability and must be allowed to have been a good judge of it. According to David McGregor Rogers*, an oppositionist and member of the assembly, loyalists had complained that “all appointments of consequence are made and given to persons favourites of those in power in Europe,” residents of the province being neglected. Gore’s practice was to recommend men established in Upper Canada and experienced in its administration. 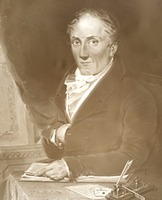 In 1808, against the wishes of the governor-in-chief at Quebec, Sir James Henry Craig*, he had restored to the Indian Department the disgraced superintendent Matthew Elliott*, who was out of favour for misuse of public funds but whose influence among the western Indians was not in question. Gore persisted, despite the reservations of Colonial Secretary Lord Bathurst, in recommending the York lawyer Henry John Boulton* as solicitor general. 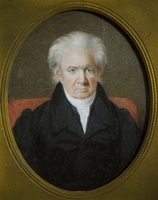 To replace Scott he secured the promotion in 1816 of Judge William Dummer Powell*, who became speaker of the Legislative Council as well as chief justice. John Beverley Robinson*, already solicitor general, Gore had promoted to attorney general in February 1818. 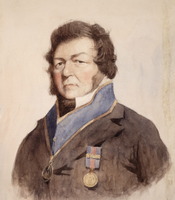 Powell and Strachan became his most frequent and influential advisers, but he never allowed either to occupy the sort of grand vizier’s position that Allcock had for a time under Hunter or that Robinson was to have under Gore’s successor, Lieutenant Governor Sir Peregrine Maitland. The men Gore singled out for his confidence were to form the nucleus of the group, later known as the “family compact,” which controlled the government of the province for the next generation. On most issues of civil administration he himself had few plans and little inclination to assume responsibility. He did show a real interest in education and saw four school bills enacted, in 1807, 1808, 1816, and 1817. These produced a system of district grammar schools and another of common schools assisted by provincial grants. The first, however, owed more to Strachan’s enterprise and ideas than to Gore’s, and the second was the result of initiatives from the assembly introduced by John Willson. 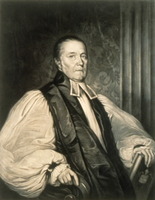 He was also concerned to foster the Church of England in Upper Canada, particularly to improve the lot of its clergy. His circular of 11 Oct. 1809 asked for details of their tenure, duties, and stipends. Although Strachan later praised his “invaluable” energy as “a great Friend to the Church,” Gore did not make much use of this information. His hope was that leases of the clergy reserves would soon bring in revenue. 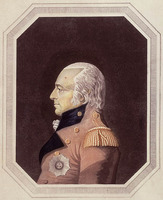 He and Receiver General Prideaux Selby* persuaded the Executive Council to increase the rents by a third in April 1811. There were few leases, however, and the rents continued to be in arrears. Gore wrote personally to the sheriff of the Western District, William Hands, who had set a record by making no returns of rent at all for eight years. He was nevertheless reluctant to give sheriffs authority to compel the payment of rents, just as he refused to decentralize the granting of leases. Nor would he approve of harsh measures to stop the illegal cutting of timber on reserved lands. By the end of his term, Anglican clergy were nominally receiving £527 a year from 96 leases, but most of the rents were unpaid. Just before leaving, Gore was considering, as a way to finance the church, the adoption of a clergy corporation for managing the reserves, similar to that operating in Lower Canada [see Jacob Mountain*]. Upper Canada was a rapidly growing province: during Gore’s administration its white population almost doubled, from 46,000 in 1806 to 83,000 in 1817. Yet he showed only a narrow concern for its economic development. He was content to make no revisions to Hunter’s land-granting system, which he accepted in spite of continuing complaints. 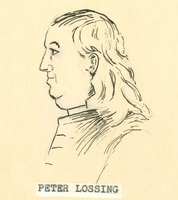 The Heir and Devisee Commission, formed by an act of the assembly to untangle claims resulting from transfers of land before deeds had been issued, was a measure begun before his arrival. So was the province’s road building program, much of the initiative for which passed during his term of office into the hands of the assembly. Bills of 1808, 1809, and 1816 authorized a total expenditure of £34,200 for public roads. Gore did take an active interest in the northward extension of Yonge Street, especially in the prospect of its use by the North West Company as an alternative to the established route of the fur traders, via Niagara and Detroit. He agreed in 1811 to the company’s petition for 4,200 acres on Lake Simcoe and Georgian Bay. 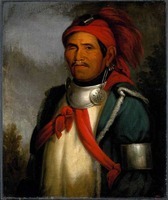 The lands in question were part of a crown purchase from the Ojibwa Indians which he had just arranged but which was not confirmed until November 1815. At the request of York merchants he lobbied for the route while in England, but he laid as much stress on its military as on its commercial advantages. In reserving the bank bill of 1817, as his instructions required, he did point out the province’s dependence on American paper money and the claim by York merchants, particularly William Allan, that a central bank with the power to issue local currency was therefore necessary. He did not, however, commit himself to the arguments that he reported, and the incorporation of the Bank of Upper Canada had to wait until 1821. When no proposals for economic development were made to him, he seldom had any of his own. The vexed question of sharing the customs duties with Lower Canada was twice debated in the assembly, in 1811 and in 1817; he forwarded reports of both debates, offering no solutions but asking for instructions. When in 1815 there was some question of moving the government offices to Kingston, as a safer place than York, he based his reservations entirely on the inconvenience and loss that officials would suffer. Directed to report on the state of the province, he did so promptly on 17 Oct. 1815, but his survey made no more than general reference to economic problems or growth. Perhaps the only independent suggestion he ever made on economic policy was for a tax on vacant lands, and there his concern was as much about government revenue as about absentee ownership. When satisfied that his responsibility was clear and on subjects with which he felt comfortable, Gore was by no means an inactive governor. During his first period in Upper Canada he paid much attention to its defence. In the fall of 1808 and again a year later he protested forcibly to Washington, through the British ambassador, over American attempts to enforce a claim to Carleton Island (N.Y.), in the St Lawrence River. At the same time, during the period of tension which followed the Chesapeake affair of June 1807 [see Sir George Cranfield Berkeley*], he inquired into the supply of rations to Indians and their readiness to help defend the province. On 11 July 1808 he addressed a council of 1,000 warriors at Amherstburg. 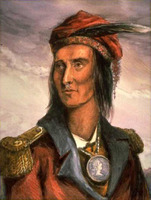 He met Tecumseh* there, finding him “a very shrewd intelligent man” and receiving the chief’s message that western Indian support against the United States could be expected “if we show ourselves in any force to join them,” but not otherwise. 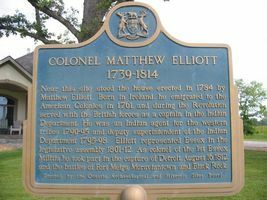 In 1809 he protested to Washington again, over an incident in which American troops sought out and killed on Canadian soil Isaac D. Underhill, a deserter from the United States Army living at Elizabethtown (Brockville). Although the militia of Upper Canada received 4,000 stands of arms in December 1807, Gore was disturbed by its lack of training and organization. He shepherded three bills through the assembly. The first, in 1808, gave authority for militia units to serve outside the province in time of war or insurrection. In 1809 a second made arrangements for their provisioning. Two years later the third consolidated earlier militia acts and revised the regulations for service and training. Gore’s expectations of the militia were not high. He did not think the province defensible against anything more than a “partial or sudden incursion,” although he felt it his duty, he had told Craig in January 1808, to conceal that opinion “from Persons of almost every description in this colony, for there are few People here that would act with Energy were it not for the purpose of defending the lands which they actually possess.” When he came back to Upper Canada after the War of 1812, he acknowledged the service of the militia. Persuaded that a 50-acre grant to militia privates was too small, he had it doubled. The responsibility that Gore saw most clearly was to defend the political tranquillity and British allegiance of the province. Soon after being sworn into office, he had become convinced that both were threatened by the malcontent judge Robert Thorpe*. Setting himself up as a spokesman for popular grievances, Thorpe, succeeded, in spite of Gore’s objections, in being elected to the assembly in December 1806. He found enough support there to disrupt the government’s order of business, but his most active allies were two other officials: his fellow Irishman Joseph Willcocks*, sheriff of the Home District, and the surveyor general, Charles Burton Wyatt*. On 31 Oct. 1806 an interview with Thorpe, planned by Gore to be conciliatory, had led him to believe that Thorpe was seditious as well as mischievous. “What grievances he alludes to, I do not know,” Gore reported to Colonial Secretary William Windham, “the most respectable persons, with whom I have conversed, do not complain of any.” Thorpe was alleged to have campaigned under the banner of the rebellious Society of United Irishmen, and his references to the American revolution were in themselves “almost Treasonable.” Gore was not alone in thinking that Thorpe’s aim was, as a newspaper correspondent put it, “to fill one class of subjects with enmities against another . . . and to destroy the original confidence so necessary to the existence of civil society.” He neither understood nor believed Thorpe’s claim to be a loyal reformer, and his equation of opposition with demagoguery and republicanism aroused some resentment. “We know no discontented Demagogues nor if we did could not be deluded by them,” a meeting chaired in York by William Willcocks* resolved; “many of us have fought, bled & sacrificed our families & properties for the British Government.” Gore’s toryism was conventional and unimaginative: he recognized no clear line between the opposition of the discontented and that of the disaffected. He simply did not think it possible that there could be legitimate opposition to a legally established colonial government, or that a government could tolerate organized dissent without inviting revolution. Thorpe’s tactics in opposition were obstructive and abusive, increasingly directed towards discrediting the lieutenant governor with the imperial government. Gore, for his part, felt justified in intercepting his opponents’ mail, even bribing postmasters in the United States. With “Anarchy and Republicanism in league” against him, he denied them access to the pages of the province’s only newspaper, the Upper Canada Gazette. He collected reports (including one from the wife of Charles Burton Wyatt, who was believed to have locked her in a cellar for punishment) that their private conversations were seditious. The most direct challenge to his authority came from Wyatt, who submitted his accounts as surveyor general to an investigative committee of the assembly without getting executive permission and who had been forwarding official papers to England secretly and for the “purposes of misrepresenting the acts of the late Government.” As well, he had altered a land location book in his own favour. Gore suspended him and dismissed Joseph Willcocks; finally, in July 1807, he suspended Thorpe, just before receiving official instructions to do so. The quarrel did not end there. Thorpe appealed his suspension, without success. His supporter John Mills Jackson* had more influential connections in British politics than Thorpe had, and so did Wyatt. In 1809 Jackson condemned Gore in a pamphlet released in England, to which the lieutenant governor had to make a long and careful reply, but still his conduct was questioned in the House of Commons that year. In August 1810 Gore asked for leave to defend himself. The threat of an inquiry had in fact already receded, and his prolonged stay in England was probably due more to the American war than to his continuing dispute with subordinates. Upper Canada, facing invasion, needed a soldier; and Gore had never commanded anything larger than a company in action. In England he found that Upper Canada’s attorney general, William Firth*, angry at his lack of promotion and at his share of legal fees, had joined the attack on him. Firth, too, was able in 1815 to have an inquiry demanded in the Commons, where Gore was accused of “simple despotism.” He never did have to face a parliamentary inquiry, but his opponents were not utterly defeated. His counter-attacks had gone too far: in 1816 Wyatt, and two years later Thorpe, were awarded damages in the libel suits that they had brought against him. The bitterness of this long dispute did not poison Gore’s relations with the assembly, which remained cordial until the very end of his governorship. He did want to strengthen the Legislative Council, as “a counter poise to the Rashness of the House of Assembly,” but his first acquaintance with assemblymen, at the session which opened in February 1807, was a pleasant surprise. More than half the members were loyalists, and he identified only two American immigrants. There was a loose coterie of six generally anti-executive members, but they did not follow Thorpe’s lead. In fact the assembly withdrew the formal protest it had made in 1806 to Alexander Grant, concerning Peter Hunter’s appropriations from the provincial treasury, and in 1808 it jailed Joseph Willcocks for accusing its members of having lost their independence by accepting land grants. The new assembly elected that summer was even more satisfactory: of the old opposition members only David McGregor Rogers and Joseph Willcocks were returned, and Gore at last saw Hunter’s and Grant’s expenditures ratified. After returning from leave he met a third assembly, in 1816. It showed a mind of its own over common schools, but was otherwise cooperative as well as industrious. In addition to the “Spoon Bill,” it passed 40 acts, among them one creating the post of provincial agent for Gore’s secretary, William Halton. This harmony was disrupted soon after the general election of 1816, which saw several of the old oppositionists, including James Durand* and Peter Howard*, returned with a new sense of grievance. Gore had instructions from the colonial secretary, Lord Bathurst, to check American immigration. Since the time of John Graves Simcoe*, Americans had been granted land on taking the oath of allegiance, the legal requirement of seven years’ residence being enforced only for the right to vote. Concerned though he was about the near prospect of an American majority in the province, Bathurst probably intended merely that the seven-year rule should apply to land grants. Gore’s action, which he did not think beyond his instructions, was more drastic. His circular of 14 Oct. 1815 forbad commissioners to administer the oath of allegiance to anyone, office holders and loyalists’ children excepted, without express permission from his office. This effectively limited the acquisition of land to British subjects. The circular also ordered sheriffs to compile lists of resident aliens. Since they could be deported simply by the order of any magistrate, Gore was posing a threat to the security of most new settlers. His action was unacceptable to anyone hoping either to buy or to sell land, especially to the land speculators of the growing Niagara District. The circular also compounded the difficulty of meeting claims for war-time damage to private property, because such claims were to be met by selling the confiscated estates of traitors. William Dickson*, a legislative councillor, Niagara magistrate, and major landowner, openly disobeyed the circular. 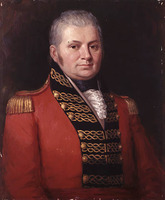 When the new assembly met, early in 1817, its attack on Gore’s policy was led by Robert Nichol*, another Niagara landowner, one of the biggest war claimants, and until then a cordial supporter of the lieutenant governor. The assembly went into committee of the whole on the state of the province and found fault with a wide range of government action or inaction: the inadequacy of the post office and of roads, the retention of crown reserves, the limitation of revenues from the clergy reserves to the support of Anglican clergy, the scale of land fees, the neglect of war claimants, and the lack of progress in allotting land to the militia. Above all, the assembly questioned the wisdom of restricting immigration from any source and the legality of Gore’s circular. On 5 April 1817, by a vote of 13 to 7, it resolved that he had contravened British statutes passed to encourage settlement in British North America; it drew back from the claim that those statutes were still in force by a single vote. All this was much more polite than Thorpe and Wyatt had been, but harder to deal with. Nichol had other resolutions drafted and could not be persuaded by John Strachan to withdraw them. On 7 April Gore prorogued the assembly, the only way he could think of to avoid an open challenge to what he regarded as imperial policy. He had had enough of being a colonial governor. The province to which he had meant to bring harmony had rejected him. He had not only survived but had ended the squabbles in officialdom with which his term began; and, if his talents for civil government were not conspicuous, he had always applied them conscientiously. Neither his charm nor his patronage, however, could enable him to manage an assembly dissatisfied with his administration. His rigid toryism, while it prevented him from compromising with or even respecting political opposition, was not foreign to Upper Canada. Yet the limited range of his interest and his lack of active concern for economic growth kept him out of touch with all but a narrow circle of the people he had been sent to govern. Despite his popularity, he left curiously little personal impression behind him. He was both extravagantly praised and extravagantly damned for reasons which, having nothing to do with his character, reveal nothing about it. It is no longer possible to say whether his character was really enigmatic or whether it has merely been obscured by the polemics he encountered. 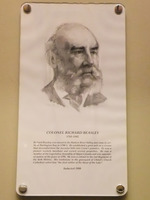 Within Upper Canada the memory of his early successes was soon obscured by that of his final clash with the assembly. Later reformers were to look back on the session of 1817 as a flagrant and calculated attack on the rights of the assembly by an arbitrary governor defending his own maladministration. This partisan writing of history began with Robert Gourlay’s Statistical account in 1822, followed by the critiques of William Lyon Mackenzie* and John Rolph*. In the reform tradition of Upper Canada, Gore became a tory ogre. Since he had himself demonstrated that it was safer to complain of a former governor than to attack a present one, he may be said to have invited the caricature. It was only in 1885 with The story of the Upper Canadian rebellion . . . by John Charles Dent* that the full weight of reform disapproval shifted to his equally tory successors. Gore left the province in June 1817 by the quickest route, through New York City, disillusioned and worried by his wife’s failing health. But there was no bitterness in the correspondence that he maintained with Canadian friends. He exchanged his lieutenant governorship in 1818 for the more comfortable post of deputy teller to the Exchequer and held that until he was awarded a pension on its abolition in 1836. His wife died in August 1838. 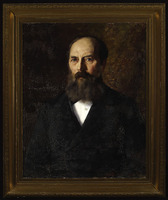 A member of the Athenaeum Club and active on its managing committee until disabled by paralysis and dropsy, he spent the rest of his life in the fashionable and aristocratic society that he had exemplified for Upper Canadians. AO, MS 522, memorandum respecting the District School Bill, 5 March 1808. PAC, RG 1, L7, 24; RG 10, A1, 2; A2, 11. Docs. relating to constitutional hist., 1791–1818 (Doughty and McArthur). Gentleman’s Magazine, July–December 1838: 338; July–December 1852: 661. G.B., Parl., Parliamentary debates (London), [ser.1], 31 (1815): 905–12. “Journals of Legislative Assembly of U.C.,” AO Report, 1911, 1912. John Strachan, The John Strachan letter book, 1812–1834, ed. G. W. Spragge (Toronto, 1946). Ten years of Upper Canada in peace and war, 1805–1815; being the Ridout letters, ed. Matilda [Ridout] Edgar (Toronto, 1890). Town of York, 1793–1815 (Firth). Morning Herald (London), 21 June 1809. York Gazette, 13 June, 31 Oct. 1807. G.B., WO, Army list, 1791–1801. John Wentworth, The Wentworth genealogy, comprising the origin of the name, the family in England, and a particular account of Elder William Wentworth, the emigrant, and of his descendants (2v., [Boston], 1870), 2: 325. Cowdell, Land policies of U.C. Craig, Upper Canada. F. C. Hamil, Lake Erie baron: the story of Colonel Thomas Talbot (Toronto, 1955). David Mills, “The concept of loyalty in Upper Canada, 1815–1850” (phd thesis, Carleton Univ., Ottawa, 1982). S. G. Roberts, “Imperial policy, provincial administration and defence in Upper Canada, 1796–1812” (d phil thesis, Oxford Univ., 1975). J. B. Walton, “An end to all order: a study of Upper Canadian Conservative response to opposition, 1805–1810” (ma thesis, Queen’s Univ., Kingston, Ont., 1977). H. C. Wilkinson, Bermuda from sail to steam: the history of the island from 1784 to 1901 (2v., London, 1973), 1: 226–27. [G.] A. Wilson, The clergy reserves of Upper Canada, a Canadian mortmain (Toronto, 1968). R. J. Burns, “God’s chosen people: the origins of Toronto society, 1793–1818,” CHA Hist. papers, 1973: 213–28. W. L. Morton, “The local executive in the British Empire, 1763–1828,” English Hist. Rev. (London), 78 (1963): 436–57. P. J. Robinson, “Yonge Street and the North West Company,” CHR, 24 (1943): 253–65. S. R. Mealing, “GORE, FRANCIS,” in Dictionary of Canadian Biography, vol. 8, University of Toronto/Université Laval, 2003–, accessed April 24, 2019, http://www.biographi.ca/en/bio/gore_francis_8E.html.